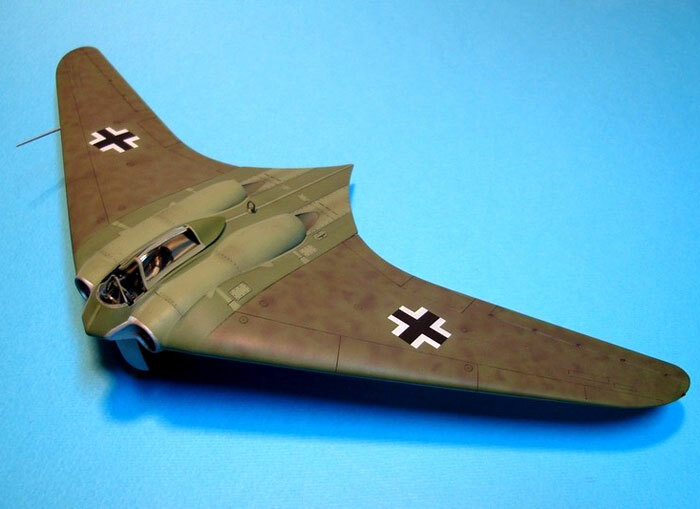 This is Revell's 1/72 scale Horten Ho 229. 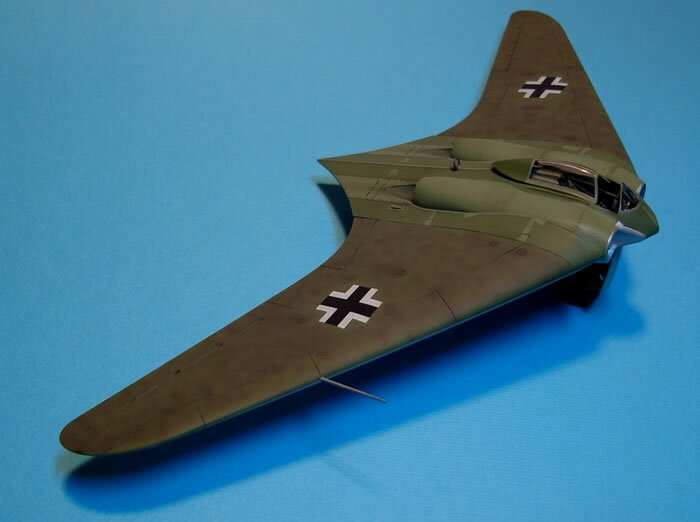 My model was built almost out of the box with some minor modification to represent Ho 229 V3, found by American troops at Gotha's Friedrichsrode factory on April 14, 1945. 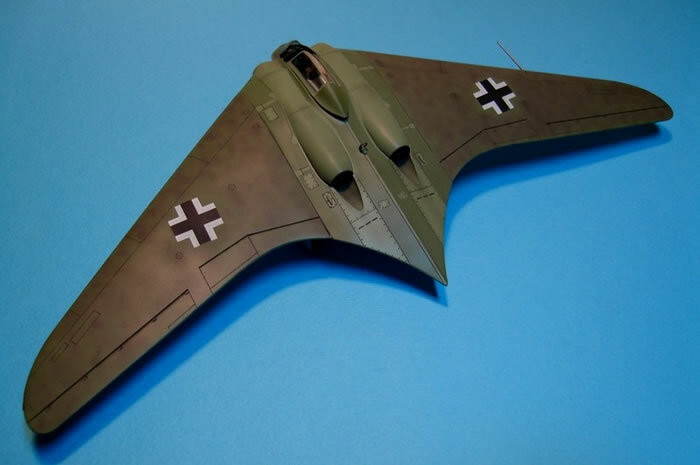 The Horten is painted with Gunze Sangyo acrylic paints. 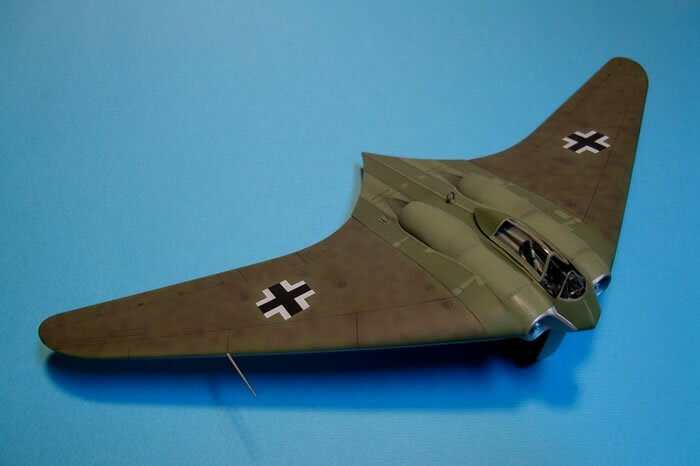 Here is a link to my video build on Youtube.